This is an ideal piece for easy performance. Reprint of the first edition of Turin, c. 1810. Parts only, no score. The preface by Mario dell’Ara and Brian Jeffery is in Italian and English. First published by Tecla in 1985. 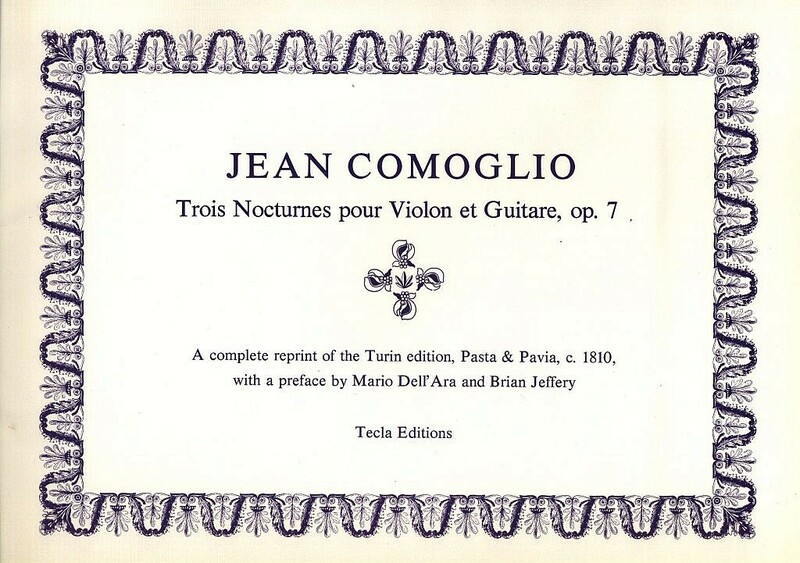 Jean (Giovanni) Comoglio was a guitarist and teacher in Turin.